arebyte gallery is pleased to present Virtual Choreography by Rosana Antoli, an open database of everyday gestures. From the welcoming thumbs up of the security guard to the flick of the basketball players wrist, this project juxtaposes performance and moving image to reveal the hidden choreographic commands that structure the everyday. Virtual Choreography is an open database of movements, a ‘world gesture map’ that allows the audience to visualise and upload several recorded motions created by themselves. The Hackney Wick area will work as Antoli’s starting point for a project that will have continuation in different cities and countries around the world. 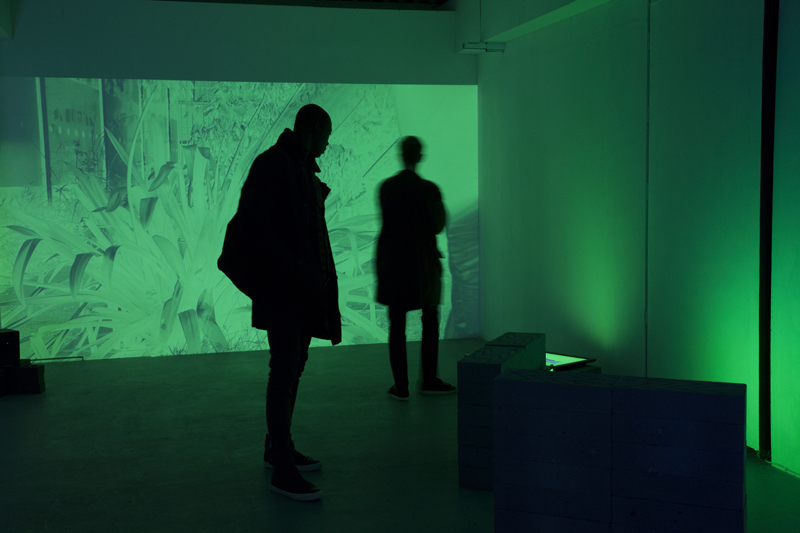 For her residency at arebyte gallery, Antoli will research the common gestures and behaviours of specific zones of Hackney Wick by asking different sectors of the community for their involvement. During the residency period Antoli has been mapping the area and recording skateboarders, security guards, receptionists and basketball players. These gestures will result in an exhibition showing the movements as video pieces, and a website where anyone can record and upload a new movement to the symphony of gestures. People from differing communities in the area will be chosen for their behavioural characteristics based on observing their normative social and private behaviours. Participants are asked to record themselves for one minute completing their gesture which will then be uploaded to the website and form part of the exhibition. The work references the One Minute Sculptures of Erwin Wurm and is transformed into what Antoli refers to as One Minute Social Choreography. Through dissemination of the recorded videos, a network of created gestures is highlighted. As the participants are asked to re-perform their daily gestures, movements that were once natural take on a new significance. Participants’ daily movements become absurd; their willingness to re-perform these depletes their social power and hierarchies of power become obsolete. Here, the term choreography is democratised as everyone who performs becomes a dancer. There is also an notion of exchange within the work - exchange between the camera and the performer, exchange between the artist and the collaborators, and the literal exchange of movements in the city. Through this exchange, Antoli aims to map the archaeology of the area and provoke new ways of thinking surrounding the perception of dance and identity. Rosana Antoli is a London-based artist. Her artistic practice is focused in the intersection of art, choreography and everyday life.The utopian character is central to her practice, and consequently the failure of the actions involved. Antoli studied MA Sculpture and Performance at the Royal College of Art and graduated in 2015. She has exhibited in galleries and museums worldwide including Centro de Arte Contemporaneo Wilfredo Lam (La Havana, Cuba. 2016), CCEMx (DF, Mexico. 2016), Joan Miro Foundation Museum (Barcelona, Spain. 2016), CCEN (Managua, Nicaragua. 2016), Josee Bienvenu Gallery (New York, USA. 2016), LagerHaus62 (Zurich, Switzerland. 2015), Herbert Read Gallery - UCA (Canterbury, UK. 2015), ABC Museum (Madrid, Spain. 2015), The Ryder Projects Gallery (London, UK. 2015) and Pieroggi Gallery (New York, USA. 2015).